Some of the BBC's most high-profile female personalities have called on the corporation to "act now" to deal with the gender pay gap. Presenters Clare Balding, Victoria Derbyshire and Emily Maitlis are among those who have signed an open letter to director general Tony Hall. They urge him to "correct" the disparity over gender pay, which they say has been known "for years". Lord Hall said "work is already well under way" to resolve the pay gap. On Wednesday, the BBC revealed the salaries of stars earning more than £150,000. The salaries, published in the corporation's annual report, revealed two-thirds of its stars earning more than £150,000 are male, with Radio 2 DJ Chris Evans the top-paid on between £2.2m and £2.25m. Claudia Winkleman - whose name was not on the original letter - was the highest-paid female celebrity, earning between £450,000 and £500,000 last year. Education Secretary Justine Greening said the BBC's gender pay gap was "hard to justify", while Labour leader Jeremy Corbyn said discrepancies were "astronomical". More than 40 signatories include BBC Sport's Sue Barker, BBC Radio 4 Today programme journalists Mishal Husain and Sarah Montague, BBC News and Antiques Roadshow presenter Fiona Bruce and The One Show's Alex Jones. The report shows "what many of us have suspected for many years... that women at the BBC are being paid less than men for the same work," the letter says. Pay disparities continue "beyond the list" of those earning more than £150,000, they add, including in areas of production, engineering, and regional and local media. The letter continues: "Compared to many women and men, we are very well compensated and fortunate. "However, this is an age of equality and the BBC is an organisation that prides itself on its values. "You have said that you will 'sort' the gender pay gap by 2020, but the BBC has known about the pay disparity for years. We all want to go on the record to call upon you to act now." The women say they are "prepared to meet" Lord Hall to ensure "future generations of women do not face this kind of discrimination". 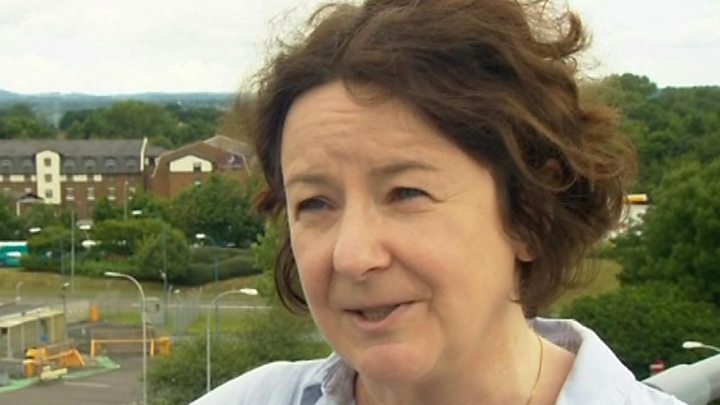 Woman's Hour presenter Jane Garvey - who organised the letter and is not on the list of top earners - told BBC Radio 4's BH programme the BBC should "set a standard" when it comes to fair pay. "We are not after pay parity," she said, "it is fairness that we are in pursuit of here, not enormous pay rises." "I love what the BBC is meant to stand for - let's show the rest of Britain what this incredible institution can do." Clare Balding said she became concerned about the gender pay gap in 2010, when after presenting Woman's Hour she realised her pay for the show was "40% lower" than similar programmes. "We are the high earners, that's why we are on the list, but don't tell me that isn't reflected all the way down [the BBC]," she told the programme. "It is right through and that's where I think we have got to stand up as the ones who are on the list and say 'hang on, enough, we can help you with this'." Education Secretary Ms Greening, who is also responsible for women and equalities, told Sky News' Sophy Ridge on Sunday it was "impossible not to be shocked" by the BBC gender pay gap. She said it was a "reputational issue" for the BBC, adding that it was "very hard to justify" some of the pay discrepancies. Labour leader Mr Corbyn told the BBC's Andrew Marr Show he would be happy to sign the letter, saying the BBC "needs to look at itself". But he said problem was broader than just the BBC and discrimination remained a "serious" issue in the UK. Marr, who is paid between £400,000 and £449,999 a year by the BBC, said if he was a woman he would have been removed from the TV "10 years ago". "There's a real lack of older women on the screen," the 57-year-old said. Who are the BBC's top female earners? Responding to the letter, Lord Hall said there would be a "wider consultation" over the next two months to address the issue and that he would value the contributions of those who signed the letter. "When figures are published next year I am confident they will look very different. "When other organisations publish their gender pay data by next April, I want the BBC to be one of the best performers when comparisons are made. "But beyond that, over the next three years I want the BBC to be regarded as an exemplar on gender and diversity."